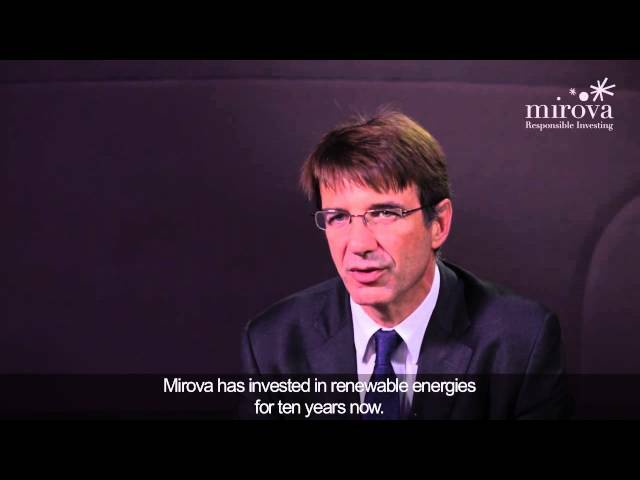 Philippe Zaouati, head of Mirova – the responsible investment division of Natixis Asset Management, explains how responsible investing in niche asset classes such as infrastructure could help economic recovery in the long-term. Today, when referring to socially responsible investment (SRI), the first thing that comes to mind is listed equity management. The techniques used range from integrating environmental, social and governance (ESG) criteria in analysis to applying these criteria in a more binding way to select companies. These management methods have undeniably had a positive impact. By gradually putting a price on extra-financial criteria, SRI has influenced corporate behaviour and continues to encourage companies to take their social responsibility into consideration when making investments. In order to understand responsible investment, we must go back to the basics of what an investment is. Should investing not mean financing the real economy by taking account of environmental and social impacts, by preparing the transition to a more responsible economy, that is less carbon-intensive and more concerned about social balances? Alongside CSR’s role in terms of influence and valuation, responsible investment must fully assume a second pillar: acting directly in financing the real economy, which involves taking a look at new asset classes, taking equity interests in unlisted companies, investing in infrastructure projects and in mixed projects with a direct environmental and social impact. The guiding principle of these approaches, what connects ESG selection on the one hand and investment in the real economy on the other is factoring in the long term. Financing the economy in the long term is a key topic both for a recovery in growth and for sustainable economic development. The European commission recently published a green paper on long-term financing and is also contemplating creating specific funds to direct savings, towards infrastructure financing. The Organisation for Economic Co-operation and Development (OECD) has also launched a consultation on this topic. Everybody realises that needs are huge and that traditional funders cannot meet them. Public debt renders a large proportion of public financing ineffective, banks are subjected to heavy regulatory pressures and traditional financial markets, notably the equity markets, no longer meet needs, as demonstrated by the Kay review into the effect of UK equity markets on the competitiveness of UK business. Alternative sources will therefore have to be tapped. Responsible investment must be at the core of these new funding requirements. - First, responsible investment is intrinsically a long-term investment, in contrast to short-term speculation and high frequency trading. - Second, the purpose of the infrastructure needed is precisely to prepare the world of tomorrow. Requirements include upgrading housing to improve buildings’ energy efficiency, creating significant production capacity in renewable energies, modernising transportation, improving access to healthcare, energy, mobility for what is known as the base of the pyramid. The analysis grids that have been in use for many years for SRI management, environmental, social and even good governance criteria can easily apply to the analysis of infrastructure projects. This is an exciting challenge for the asset management industry. It is also a way of responding to investors’ new needs. - Currently, falling interest rates make it virtually impossible for investors to source the returns they are seeking. - They need to diversify their investments, trim their exposure to government bonds and instead turn their attention to long-term infrastructure financing, whether through direct investments in project companies or via debt funds, as it can provide them with new streams of income while acting in the public interest. In the same way, social finance, also known as impact investing, will play a key role in terms of social cohesion. Again, the European commission has been instrumental in creating European Social Entrepreneurship funds, or EuSEF, which aim to orient savings towards the social economy sector, which already accounts for 10% of jobs in Europe. The development of ‘social bonds’, or ‘green bonds’ with financing earmarked for specific projects, is one avenue to be pursued. Britain’s presidency of the G20 has in fact decided to make social finance one of its top priorities. > Responsible investment no longer concerns only ethics or CSR, but must contribute to transforming our economies into a sustainable and positive model.